Home Styles was founded in 1998 as a ready-to-assemble furniture company. 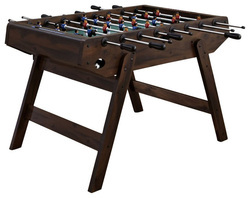 They are one of only a handful of foosball table manufacturers that comes to the market with a furniture background even though many are designed to look like high quality wood furniture pieces. Their full product line includes items such as bedroom, living room, bar, kitchen and outdoor furniture. Homes Styles offers versatile styling and classic finishes in their product line from traditional to contemporary decor. 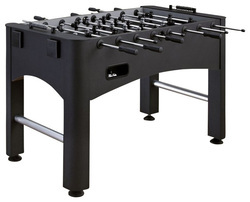 They are also known for establishing a flexible design that allow many of their pieces to provide storage or collapse to fit a smaller space, which you see in their Deluxe model.